I recently returned from spending a few days traveling with the Atlantic Coast tour group. I joined them in New Hope, PA and left them after they crossed into New York state. 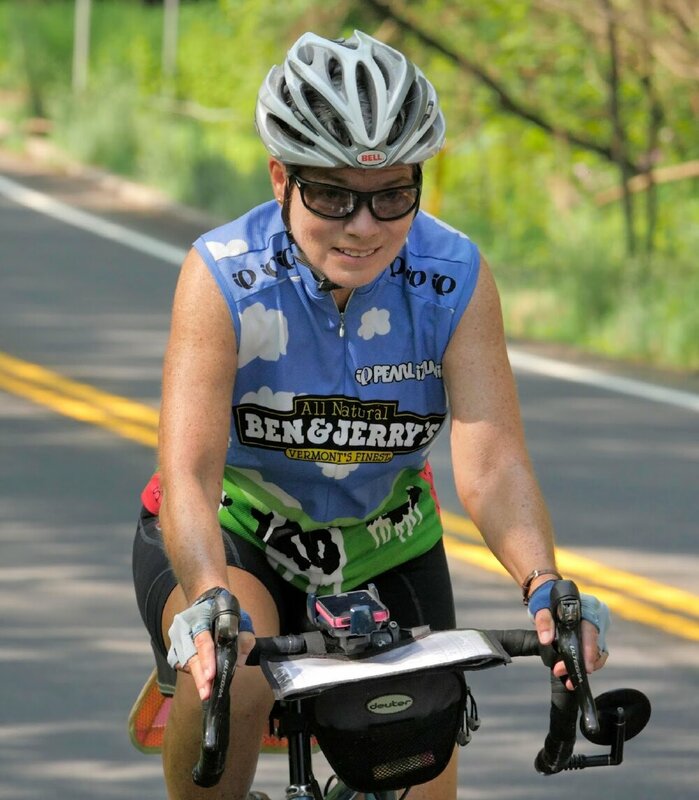 They are an inspiring bunch of women who have been riding up the coast since April and will end in less than two weeks in Bar Harbor, ME. That's a long time to be on a bike and we are always trying to make it a better experience for our guests. While I am thinking about it, I want to tell you how much I love Ride with GPS!! I do not have a Garmin, and I do not have GPS in my car so this is my first experience. When I got your first email, I thought "don't have a Garmin, too late to learn now", but I saved the email. My roommate on the first night in Florida, Pat Spiegelberg, explained to me that I could download the Ride with GPS app and use it with my iPhone (or any smartphone). She helped me get started, and I am a fan (also love that it is tracking my statistics). Almost everyone who is now using Ride with GPS is using it with a phone, not a Garmin, so in the future please let people know that a Garmin is not necessary. I now have my phone mounted on my handlebar, but I can also hear it from my jersey pocket. When the cue sheet says turn, and the phone says turn, and I can see the road sign, I am absolutely sure I am going the correct way. I don't think I have been off course by more than 100 feet the whole trip. It is also great to be able to look at the map when needed to find ways around detours, changes in roads, etc. - so much easier than Adventure Cycling maps. The printed cue sheets are still absolutely essential, but the GPS is a great addition. Please keep doing this. It would be wonderful for both long and short tours. Thank you Virginia for this great feedback. We encourage other women who are planning to travel with us to download the app and try it out, it's great and you can store your own favorite rides too.